Parasitoids of homopteran nymphs and adults (Cicadellidae, Delphacidae and Flatidae most commonly parasitized out of a total of 12 families). Adult female dryinids usually have a chelate foretarsus for grasping the host bug during oviposition. The Dryinid larva initially develops inside the host, but then extrudes in a characteristic sac that bulges out of the host's abdomen. Pupation occurs on the host food plant or in the soil. Azevedo C.O., Madl. M. & Olmi, M. 2010. A Catalogue of the Bethylidae, Chrysididae, Dryinidae, Embolemidae, Sclerogibbidae and Scolebythidae (Hymenoptera: Chrysidoidea) of the Malagasy Subregion. Linzer Biologische Beitrage 42(2): 845-918. Benoit, P.L.G. 1950. Nouveaux Dryinidae du Congo Belge. Rev. Zool. Bot. Afr. 43 (3): 222-227. Benoit, P.L.G. 1951. Nouveaux Dryinidae (Hym.-Acul.) éthiopiens. Rev. Zool. Bot. Afr. 44 (2): 157-164. Benoit, P.L.G. 1951. Exploration du Parc National Albert. Mission G.F. de Witte (1933-1935). Fasc. 73. Dryinidae (Hymenoptera Aculeara), Evaniidae (Hymenoptera Terebrantia). Hayez, Bruxelles, 26 pp. Benoit, P.G.L. 1953. Nouveaux Dryinidae (Hym.) du continent africain. Ann. Mus. Civ. St. Nat. Genova 64: 298-302. Benoit, P.L.G. 1954. Monographie des Dryinidae malgaches (Hym.-Acul.). Mémoires de l'Institut Scientifiques de Madagascar, Série E 4: 383-430. Benoit, P.L.G. 1963. Le genre Pseudogonatopus à Madagascar (Hym.-Dryinidae). Revue Suisse de Zoologie 70 (3): 337-342. Ceballos, G. 1936. Estudios sobre Anteoninae de Madagascar (Hym. Bethyl.). EOS 12: 43-64. Guglielmino, A. & Olmi, M. 1997. A host-parasite catalog of world Dryinidae (Hymenoptera: Chrysidoidea). Contributions on Entomology, International 2 (2): 165–298. Guglielmino, A. & Olmi, M. 2006. A host-parasite catalog of world Dryinidae (Hymenoptera: Chrysidoidea): first supplement. Zootaxa 1139: 35–62. Guglielmino, A. & Olmi, M. 2007. A host-parasite catalog of world Dryinidae (Hymenoptera: Chrysidoidea): second supplement. Bollettino di Zoologia Agraria e di Bachicoltura, Ser. II 39 (2): 121–129. Guglielmino, A. & Olmi, M. 2015. Revision of the Afrotropical species of Deinodryinus Perkins, 1907 (Hymenoptera: Dryinidae), with description of a new species from Madagascar. African Invertebrates 56: 229–259. Jurie, L. 1807. Nouvelle méthode de classer les Hyménoptères et les Diptéres 1. Hymènoptères, Genèva. Kieffer, J.J. 1912. Hymenoptera Proctotrupoidea. In Percy Sladen Trust Expedition, Trans. Linn. Soc. London 15: 45-80. Latreille, P.A. 1809. Genera crusrataceorum et insectorum secundum oridem naturalem in familias disposita 4. Parisiis et Argentotorati. Olmi, M. 1984. A Revision of The Dryinidae (Hymenoptera). Memoirs of the American Entomological Institute 37: 1-947. Olmi, M. 1987. Descrizone di nuove specie di Dryinidae (Hymenoptera Chrysidoidea). Bollettino di Zoologia Agraria e di Bachicoltura, Serie 2, 19: 31-70. Olmi, M. 1987. New species of Dryinidae, with description of a new subfamily from Florida and a new species from Dominica amber (Hymenoptera, Chrysidoidea). Bollettino del Museo Regionale di Scienze Naturali Torino 5 (1): 211-238. Olmi, M. 1987. New Species of Dryinidae (Hymenoptera Chrysidoidea). Fragmenta Entomologica, 19: 371-456. Olmi, M. 1989. New Dryinidae from Africa and Asia (Hymenoptera Chrysidoidea). Oriental Insects, Vol, 23: 157-162. Olmi, M. 1990. I Dryinidae della Somalia: considerazioni sistematiche e biogeografiche (Hymenoptera Chrysidoidea). Biogeographia 14: 403–406. Olmi, M. 1990. Supplement to the revision of the world Dryinidae (Hymenoptera Chrysidoidea). Frustula ntomologica (N.S.) 12: 109–395. Olmi, M. 1991 . Supplement to the revision of the world Dryinidae (Hymenoptera Chrysidoidea). Frustula Entomologica (N.S.) 12: 109-395. Olmi, M. 1991. Supplement to the revision of the world Dryinidae (Hymenoptera Chrysidoidea). Frustula Entomologica, nuova serie 12: 109-395. Olmi, M. 1992. Contribution to the knowledge of the Gonatopodinae (Hymenoptera Dryinidae). Bollettino dell'Istituto di Entomologia "Guido Grandi" della Università degli Studi di Bologna 46: 109-122. Olmi, M. 1993. Descriptions of new taxa of Dryinidae (Hymenoptera (Chrysidoidea). Frustula Entomologica, nuova serie 15: 19-62. Olmi, M. 1993. A new generic classification for Thaumatodryininae, Dryininae and Gonatopodinae, with description of new species (Hymenoptera, Dryinidae). Bollettino di Zoologia Agraria e di Bachicoltura, Serie 2, 25 (1): 57-89. Olmi, M. 1994.Taxonomic studies on the Dryinidae of Mozambique (Hymenoptera: Chrysidioidea). Oriental Insects 28: 67-80. Olmi, M. 1994. New Species of Dryinidae from Madagascar (Hymenoptera Chrysidoidea). Frustula Entomologica, 17: 1-12. Olmi, M. 1995. Description De Trois Nouvelles Espéces De Dryinidae (Hymenoptera Chrysidoidea). Revue fr. Ent., Nouvelle Série, 17: 133-136. Olmi, M. 1996. Systematics of the genera Echthrodelphax and Mercetia (Hymenoptera: Dryinidae). Memoirs of the Entomological Society of Washington 17: 179-182. Olmi, M. 1998. A contribution to the knowledge of the Dryinidae (Hymenoptera Chrysidoidea). Lambillionae, 48: 49-59. Olmi, M. 1998. New Embolemidae and Dryinidae (Hymenoptera, Chrysidoidea). Frustula Entomologica, nouva serie 20: 30-118. Olmi, M. 1998. A contribution to the knowledge of Dryinidae (Hymenoptera: Chrysidoidea) and Strepsiptera of Mozambique. Oriental Insects 32: 59-78. Olmi, M. 2000. New species of Oriental Anteon, with new synonymies (Hymenoptera Dryinidae). Frustula Entomologica, N. Ser. 21: 68–74. Olmi, M. 2002. Description of two new species of Dryinidae from Botswana: Bocchus martellii and Gonatopus martellii (Hymenoptera Chrysidoidea). Boll. Zool. Agr. Bachic. (Ser. II) 34 (3), 273-280. Olmi, M. 2003 (2001). A Contribution to the Knowledge of Dryinidae (Hymenoptera Chrysidoidea). Frustula Entomologica, Nuova Serie, vol. 24: 21-49. Olmi, M. 2004. A contribution to the knowledge of Dryinidae (Hymenoptera: Chrysidoidea) of northern Mozambique. Oriental Insects 38: 59-78. Olmi, M. 2004. New species of Dryinidae and Embolemidae from Madagascar (Hymenoptera: Chrysidoidea). Frustula Entomologica, nuova serie 25: 86-109. Olmi, M. 2004. 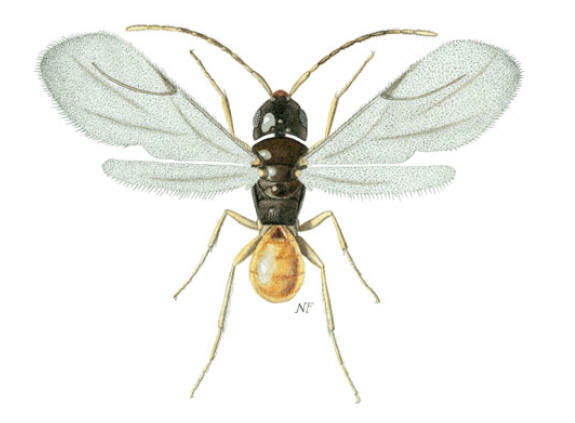 Description de deux nouvelles espèces de Dryinidae (Hymenoptera, Chrysidoidea). Revue française d’Entomologie (N.S.) 26: 179–181. Olmi, M. 2005. 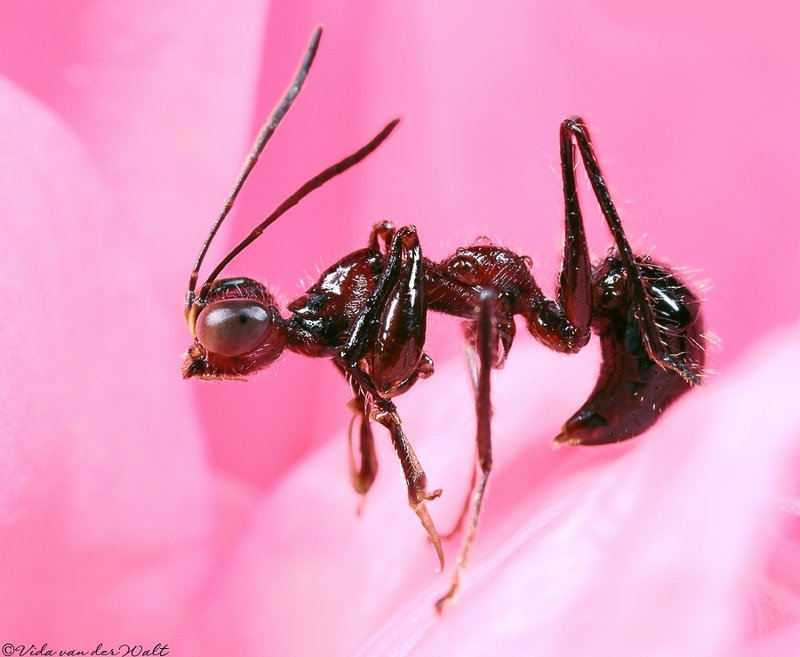 A Contribution to the Knowledge of Afrotropical Dryinidae (Hymenoptera Chrysidoidea). Entomologist's Monthly Magazine, Vol. 141: 233-248. Olmi, M. 2006. A catalogue of Dryinidae and Embolemidae of South Africa, with descriptions of new species (Hymenoptera Chrysidodea). Frustula entomologica (2005) (N.S.) vol. 28-29 (41-42): 1-57. Olmi, M. 2007. Apodryininae of Madagascar and South Africa (Hymenoptera: Dryinidae). Frustula Entomologica, nuova serie 30: 1-46. Olmi, M. 2007. New species of Afrotropical Dryinidae (Hymenoptera: Chrysidoidea), with description of a new genus and a new subfamily. African Invertebrates, vol 48: 199-232. Olmi, M. 2008. New species of Dryinidae from the Afrotropical Region (Insecta, Hymenoptera, Chrysidoidea). Spixiana 31: 215-221. Olmi M. 2009. New species of South African Dryinidae (Hymenoptera: Chrysidoidea). African Invertebrates 50: 447–460. Olmi, M. 2010. Descriptions of new species of Dryinidae and Embolemidae from Madagascar (Hymenoptera Chrysidoidea). Frustula Entomologica, nuova serie 31: 53-76. Olmi, M. 2011. A contribution to the knowledge of world Dryinidae (Hymenoptera Chrysidoidea). Frustula entomologica (2009) (N.S.) XXXII (XLV): 43-76. Olmi, M. & Copeland, R.S. 2011. A catalogue of Dryinidae, Embolemidae and Sclerogibbidae of Kenya and Burundi, with descriptions of new species (Hymenoptera: Chrysidoidea). African Invertebrates 52: 177–206. Olmi, M. & van Harten, A. 2006. Dryinidae, Sclerogibbidae and Embolemidae (Hymenoptera: Chrysidoidea) of Yemen, with revised keys to the species of the Arabian peninsula. Fauna of Arabia 21: 307–337. Olmi, M. & Copeland, R.S. & Guglielmino, A. 2015. An updated checklist of Dryinidae, Embolemidae and Sclerogibbidae (Hymenoptera) of Kenya and Burundi, with descriptions of thirteen new species. Acta Entomologica Musei Nationalis Pragae 55(1): 333-380. Olmi, M., van Noort, S. & Guglielmino, A. 2016. Contribution to the knowledge of Afrotropical Dryinidae, Embolemidae and Sclerogibbidae (Hymenoptera) with description of new species from Central African Republic and Uganda. ZooKeys 578: 45-95. Olmi, M. Guglielmino, A., Natha, S.A. & Alfredo, A.A.N. 2012. A catalogue of Dryinidae of Mozambique, with description of a new species (Hymenoptera: Chrysidoidea). African Invertebrates 53: 715-731. Perkins, R.C.L. 1907. Parasites of leaf-hoppers. Hawaii Sugar Plant. Assoc. Exp. Stn., Entomol., iii (11): 5-20. Ponomarenko, N.G. & Olmi, M. 2006. Dryinidae (Hym.) collected in Ethiopia by Dr Alexander F. Emelyanov, with descriptions of two new species. Entomologist’s Monthly Magazine 142: 7–10. Turner, R. E. 1928. New Hymenoptera of the Family Bethylidae. Ann. Mag. Nat. Hist., Ser. 10, Vol. 1: 129-152. Photographs © Simon van Noort (Iziko Museums of South Africa) or © Robert Copeland (ICIPE). Dryinidae image in head banner © Vida van der Walt (Pretoria). Illustrations © Nicolò Falchi.